A sim­ple sidescrolling crit­i­cal game that ques­tions the impor­tance of goals and author­ity in games. 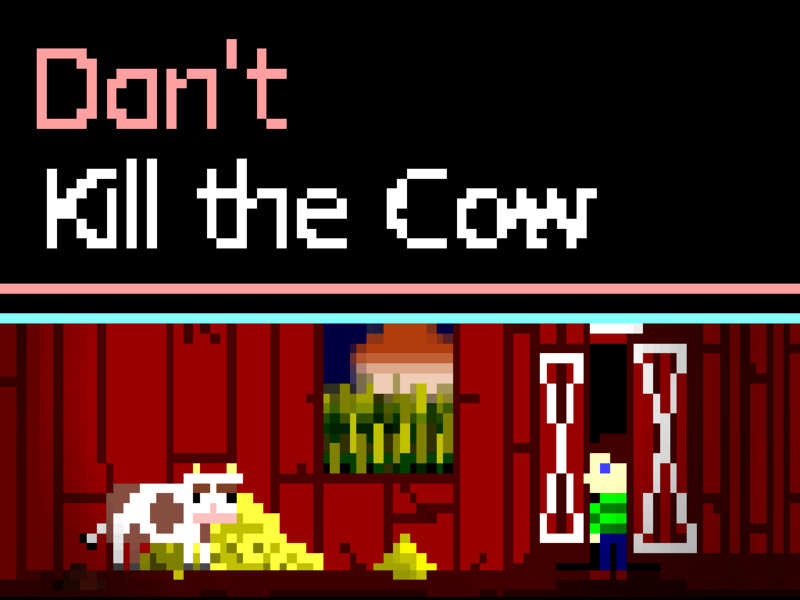 There is only one way to win the game: 'don't kill the cow', but is win­ning the game worth it? How much do simple phrases like 'you win' and 'you lose' mean to the player? 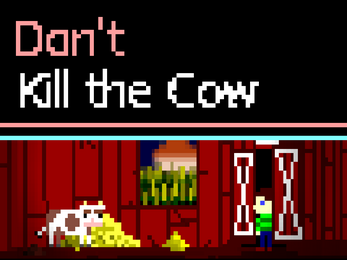 "Don't Kill The Cow is a very inter­est­ing social com­men­tary on how we view games in the now." Dis­played at Miami University's Dig­i­tal Expo. Dis­played at the Ohio Game Devel­oper Expo.